It’s great to have a battery bank that allows you to charge your smartphone 8 or 9 times before you get anywhere near a power socket, but how often do you actually need to do that? Odds are your life isn’t that electricity free, and a huge-capacity model is overkill. Try one of these pocket-friendly models instead. Each battery bank featured is small enough for you to put in your pocket or hold easily in your hand. It’s likely that you already carry plenty of different things, so who wants extra weight of a massive 20,000 mAh battery? That’s why all of the ones here are also lightweight so it won’t pull your bag or pocket down too much. Now these battery banks aren’t as feature rich as some of their big cousins—there’s no room here for Qi charging or a bevy of ports—but they’ll still keep your phone topped off or provide an emergency charge, no need to go searching for an outlet. Here’s our pick of the best ultra compact battery banks currently out there. 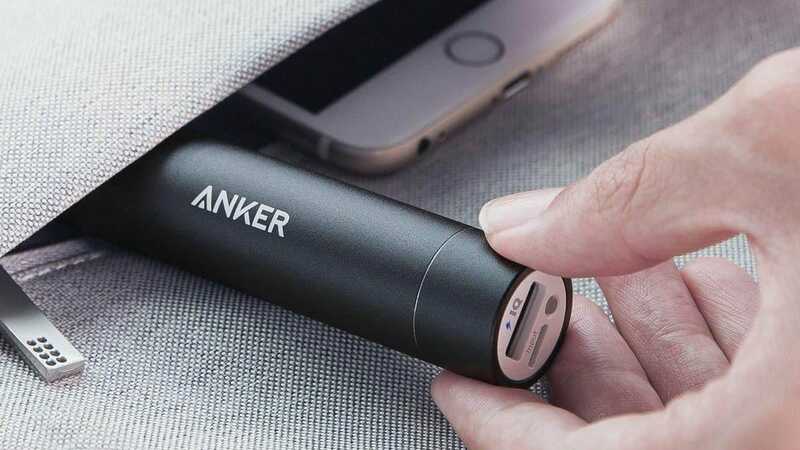 Where there’s a need for a third-party accessory, Anker generally has things covered. That’s the case with the Anker PowerCore+ Mini. 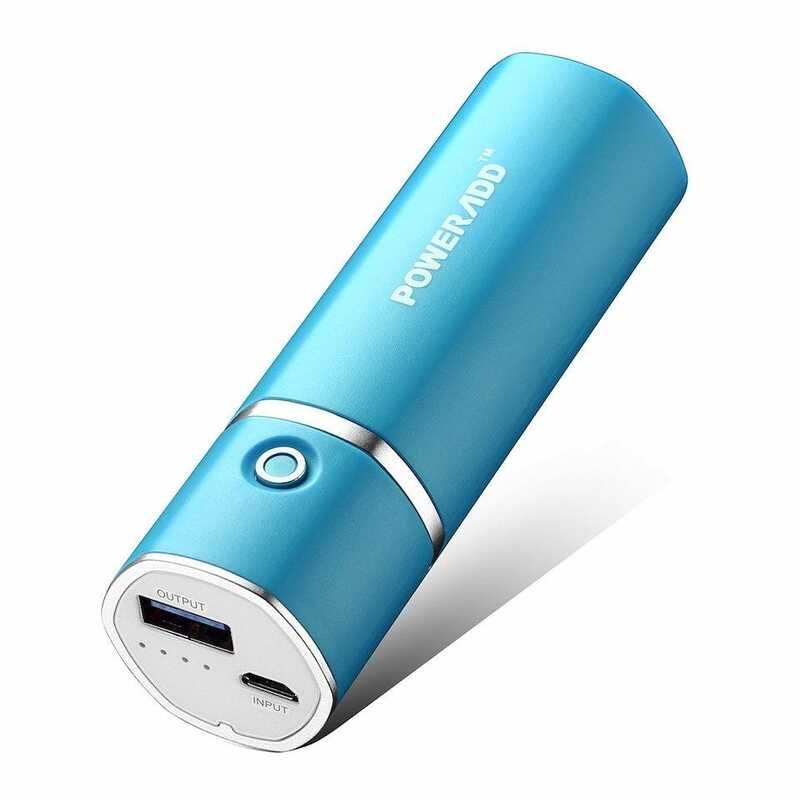 A lipstick-sized portable charger, it recharges in about 3-4 hours using the included micro USB cable. With a capacity of 3350mAh, it has enough juice for over one charge of an iPhone 8 or at least 80% to the Galaxy S8 or similar. The single port outputs at 1A, so don’t expect fast charging and it’s not ideal for tablet use. For most users, that’s going to be plenty to get them through the day. Its measurements are a mere 3.7 x 0.9 x 0.9 inches and it only weighs 2.8oz so you’ll hardly notice it in your pocket or bag. It’s an ideal fallback plan. 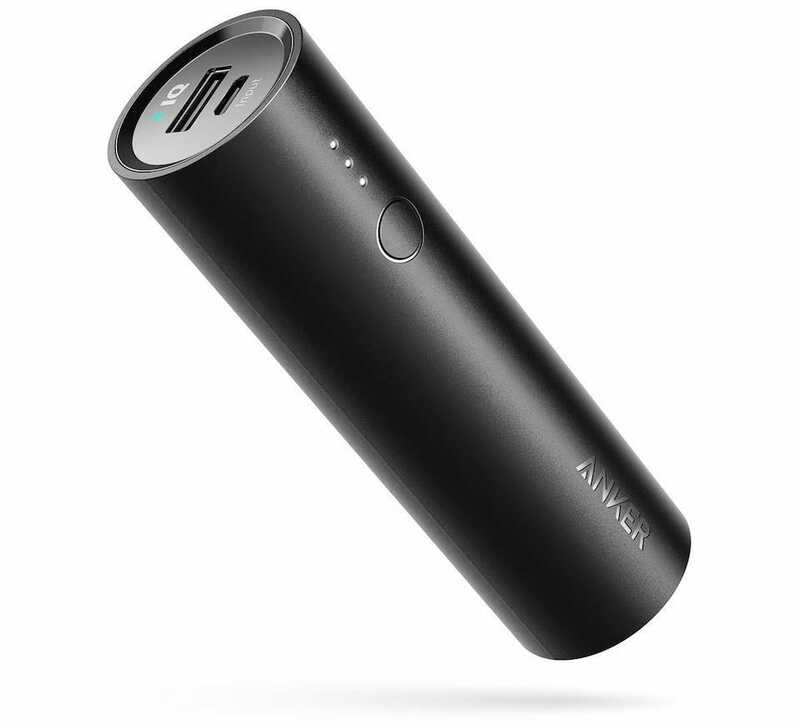 For a higher capacity version of the Anker PowerCore+ Mini, the PowerAdd Slim 2 is a good alternative, albeit at a price. It has a capacity of 5000mAh working out at nearly a third more than the Anker option, but it weighs more and is a little bulkier. It’s still lipstick-shaped but it measures 3.9 x 1.3 x 1.2 inches which may make a difference depending on how little storage space you have. Plus, it weighs in at 4.16oz although that’s not a substantial increase. If you’re fine with a little more bulk then you’ll be more than happy with the PowerAdd Slim 2. It recharges in about 3-4 hours, identifies the charging requirements of your devices, and, with 2.1A output, happily recharges tablets and Kindles, as well as smartphones. 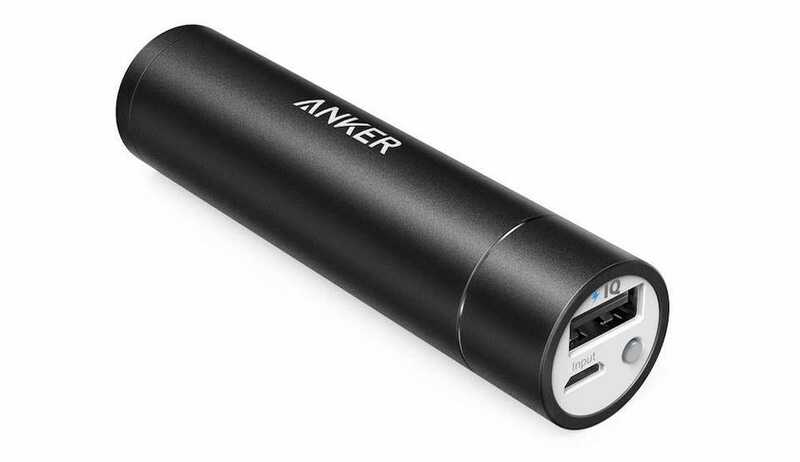 It’s a little more multipurpose in that respect than the Anker, thanks to its extra oomph. 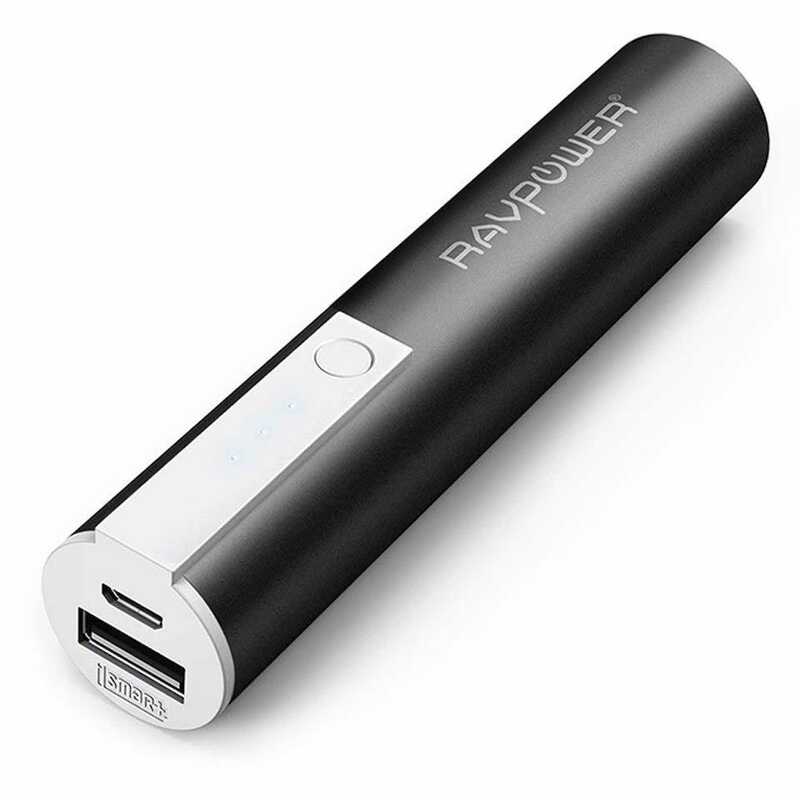 Sure, there’s only a buck between the PowerAdd and the RAVPower Luster Mini, but if you’re on a tight budget and you want something a little lighter, the RAVPower is the device for you. It measures 4.8 x 2.8 x 1.5 inches so there’s not a lot between the two, however it weighs under 3 ounces which is ideal if every ounce counts. For that size, you get about the same amount of juice as the Anker option—3350mAh which means just over one full charge of your smartphone but with only 1A of output on the port it’s not recommended for tablet use. Like the others, it auto detects the device you hook up to it so there’s no risk of running into problems or slowdown here. A series of LED buttons keeps you informed on how the charge is going too. It’s sleek and convenient. Spend a little more on an ultra-compact battery bank, and you can enjoy the Anker PowerCore 5000. As the name suggests, it has a 5000mAh capacity so it easily charges an iPhone 6s twice or a Samsung S6 over once. It also contends well with tablets and can charge them to at least 50% without much bother thanks to the capacity and 2.1A output. The device is bigger than some other options, measuring 4.2 x 1.3 x 1.3 inches but it’s still pretty discreet. It also weighs slightly more at 4.8oz but that’s hardly going to be an issue for many. If you need more power for your money, and you want to stick with a well-respected name, this is the battery bank for you. 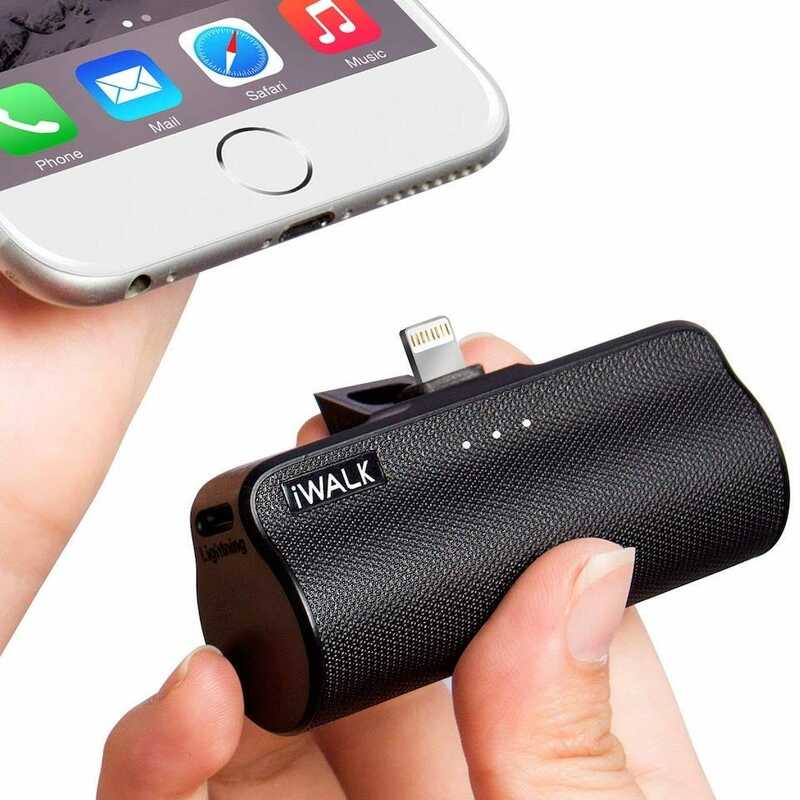 Saving you the effort of carrying an additional cable, the iWALK Portable Charger has a built-in Lightning plug. Simply slot it into the bottom of your iPhone and it happily charges your phone more than once thanks to its 3300mAh capacity. It measures a mere 2.8 x 1.5 x 0.9 inches and only weighs 2.7 ounces so it’s hardly noticeable in your bag. It works with any iPhone or iPod so it’s quite convenient for Apple fans. You can still use it while it’s plugged in too.